The Sudha Ragunathan Concert at MLR Convention Centre on 25th February 2017. had music and the lake at its core. Here's a review by A.K. Venkat, a resident of the lake neighbourhood and Carnatic vocalist. 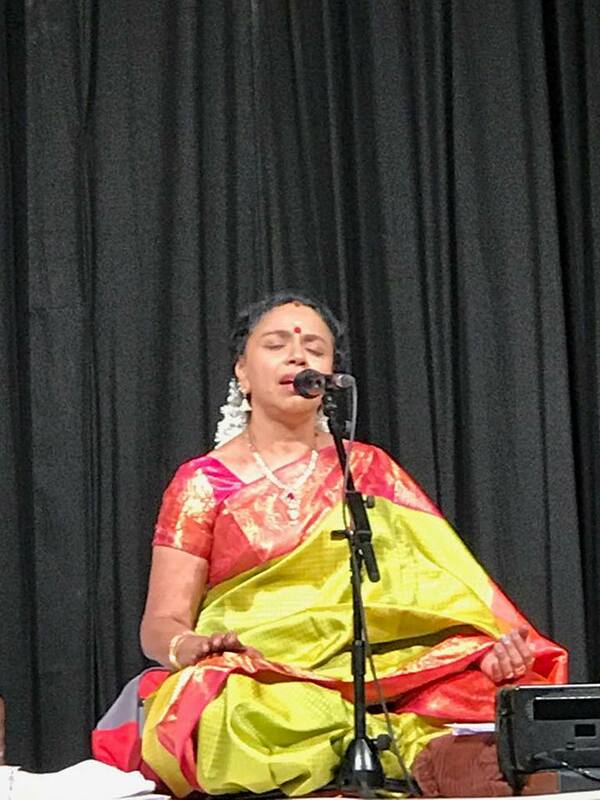 Smt Sudha Raghunathan began the concert with the Varnam Ninnukori in the raga Vasantha, appropriately chosen with the season in mind. Rendering the first part in three speeds (including tisra nadai), she set a refreshing beginning for the concert. This was followed by Pranamamyaham Sri Gowrisutham, in the raga Gowla, a kriti of Sri Vasudevachar. This was embellished with a brief kalpana swaram. She then rendered a mellifluous Paalvadiyum Mukham, in Nattakurunji, a kriti of Oothukkadu Venkata Kavi in Tamil. The next item she took up was a detailed alapana of Amrutavarshini raga. This resonated with the audience, as the soul of a lake is water. This raga is an offering to the nature for abundance of rains, and she reminisced about a prior occasion when the rendering of the raga indeed resulted in rains. Dikshitar's kritiAanandamrutakarshini was rendered with elan and poise. Neraval at 'sananda hrudaya nilaye' and detailed swaram with 'varshaya varshaya' completed the brilliant rendering. This was followed by Periyasami Tooran's Taye Tripurasundari in Suddhasaveri. The main item of the evening was in the raga Thodi. Smt Sudha Raghunathan rendered a detailed alapana of the raga, and followed up with Taye Yasoda, another kriti of Oothukkadu Venkata Kavi. Detailed neraval (at Kalinil Shilambu Konja) and swarams followed. This took the concert to its exhilarating heights. 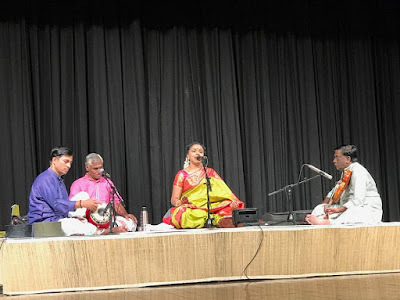 At this point, the tani was presented, with Mridangist Sri Skanda Subramanian and Morsing artist Sri Raman mesmerising the audience with a brilliant performance. A few short items were presented after the tani - Bhavayami Gopalabalam (Yamuna Kalyani), Bho Shambho (Revati), Kurai Ondrum Illai (Ragamalika). The concert ended with the tillana of Lalgudi, Dheem tarada tani (Ragashree). A highlight of the evening that struck a chord not only with the organizers, PNLIT, but also with the audience was a special poem composed and dedicated to the lake. She appreciated the community's effort to protect the environment under the leadership of PNLIT and promised to support the initiative in whatever way she can. Sri Raghavendra Rao gave excellent support on the Violin, following each and every nuance of the vocalist's rendition appropriately. The Mridangist and Morsing artist lifted the concert to a great height, leaving the audience with an experience they will long remember and cherish.